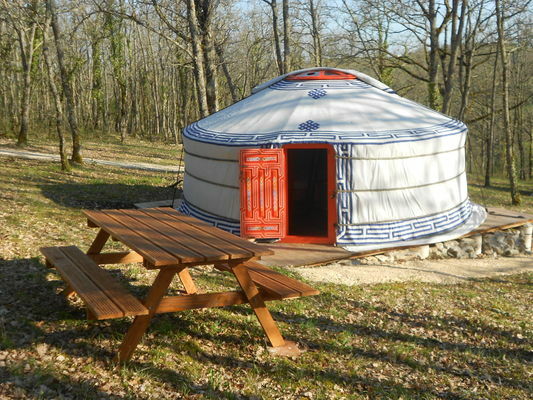 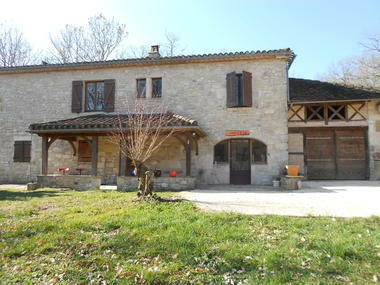 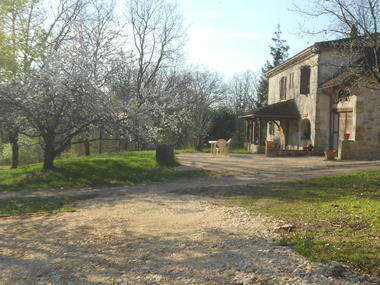 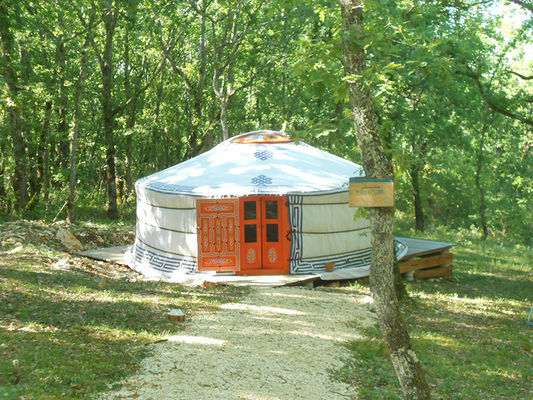 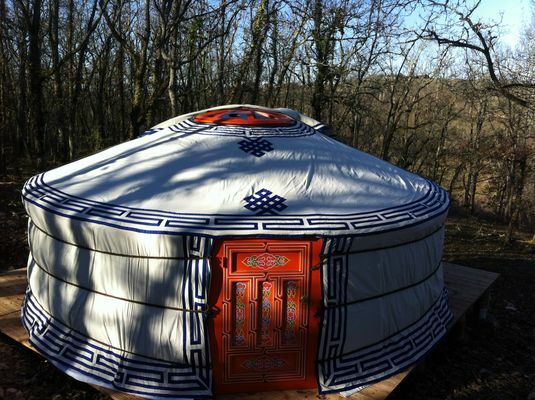 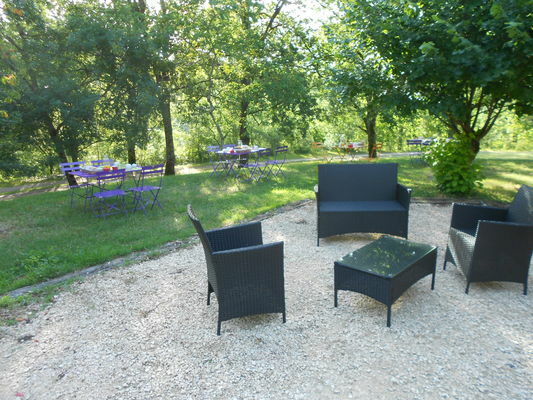 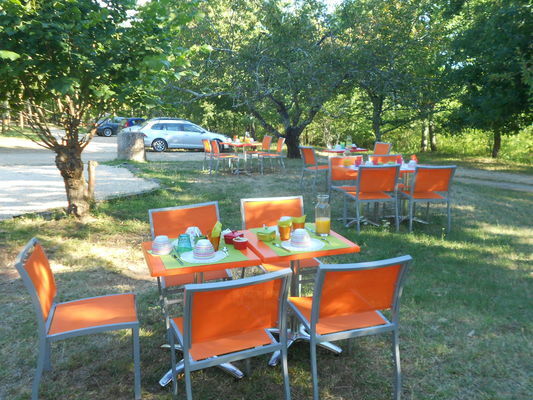 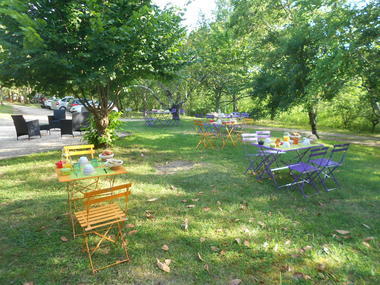 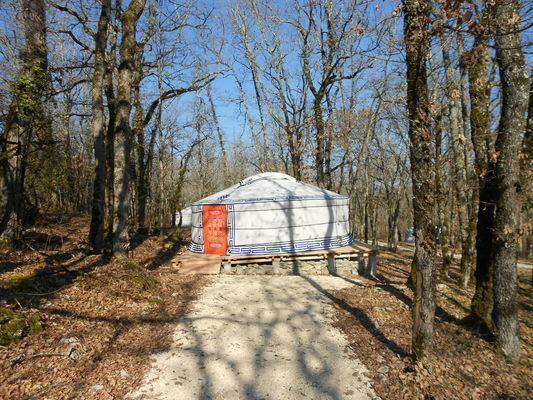 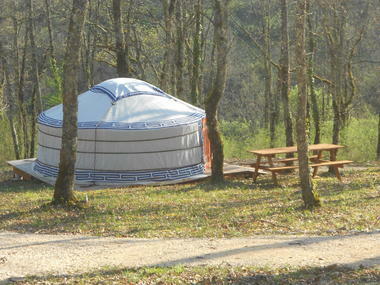 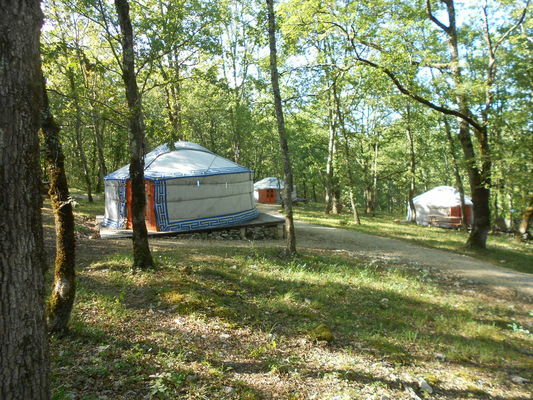 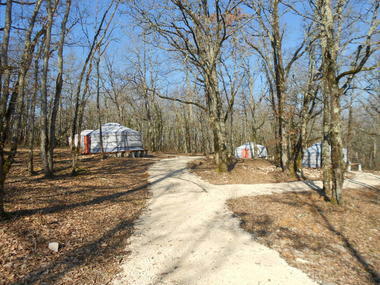 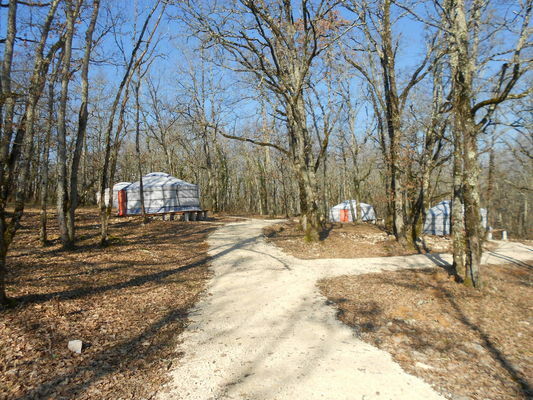 Peace and quiet in our yurts erected on wooden decking and containing traditional furniture, and located in 2.3 hectares of wooded grounds close to the Causses du Quercy Natural Park in the lovely Lot département, renowned for its good food and wines and the fascinating places to visit. 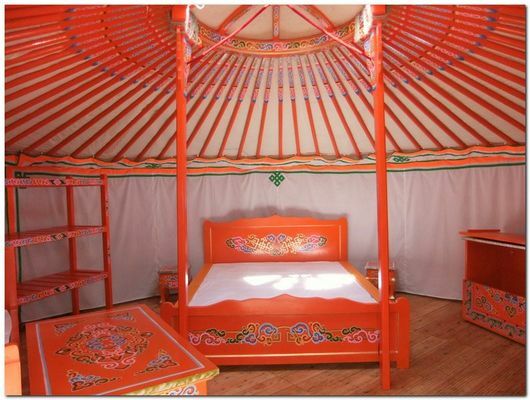 Go for something different, come and spend a pleasant holiday in a real Mongol yurt made of poles radiating from a central ring out to a circular trellis support covered with felt, which is a very good insulating material, and on which cotton cloth embroidered in white and blue is hung. A kitchen is available to you.